Waterloo’s latest project, Waterfall, reveals a new and embellished way of living. Bringing together an appreciation for high-quality design and the pursuit of a luxury lifestyle, Waterfall apartments deliver beyond expectations by all accounts. 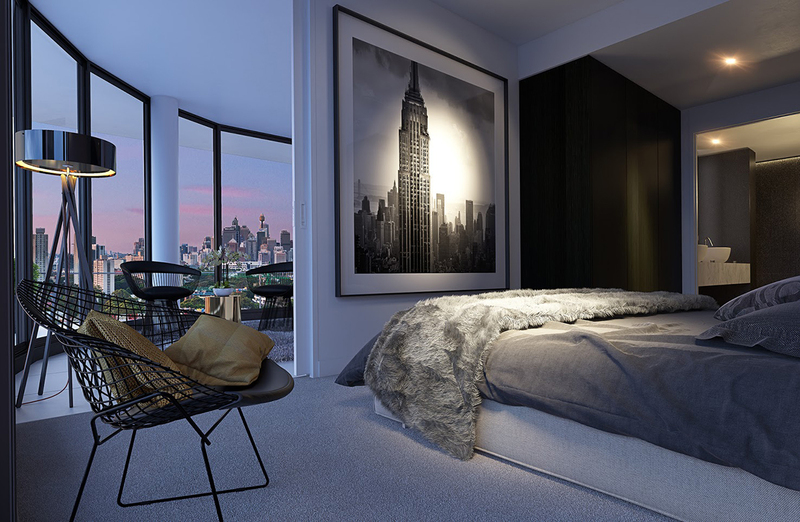 On the Crown Group project’s first day of launch, the much-anticipated development sold $300 million worth of apartments, shocking the real estate market and making evident the fact that demand for quality apartments in exceptional locations is incredibly high. 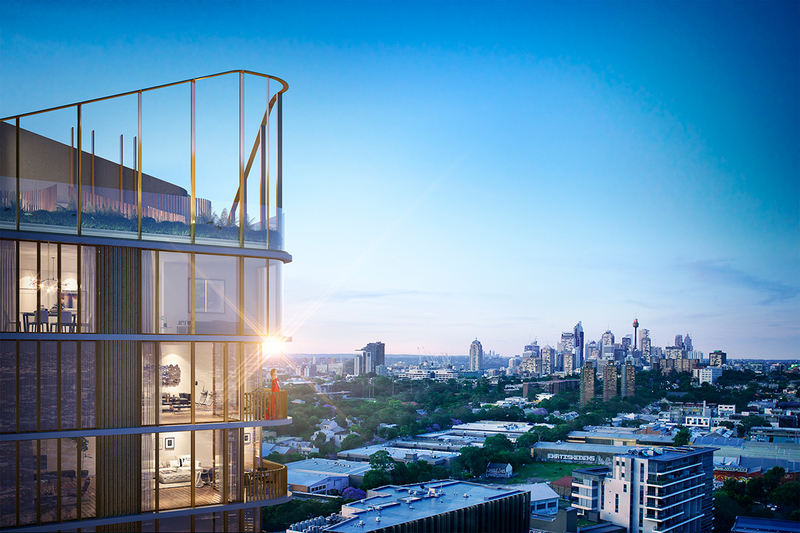 “This is a testament to Crown Group’s reputation for delivering iconic developments in Sydney,” commented Iwan Sunito, Crown Group Chairman and Group Chief Executive. Developer Crown Group elected award-winning architects SJB to bring their urban sanctuary to life. 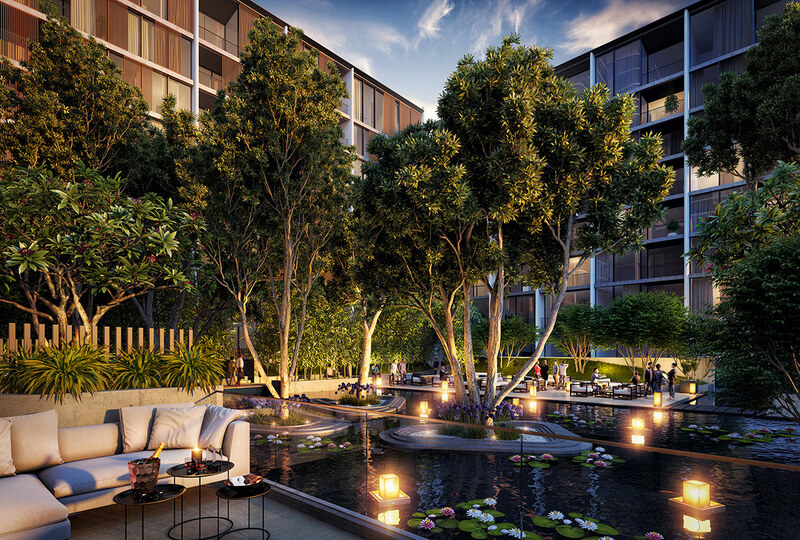 The Waterfall development is made up of three eight-storey buildings and a 21-storey sculptural tower, all gazing introspectively over the gorgeous natural setting of tropical botany and beautiful water gardens. Waterfall holds a total of 331 residences, ranging from one bedroom suites to double storey super-penthouses with private roof terraces. Crafted upon an ethos of absolute indulgence and harmonious tranquility, the home interiors are fresh, illuminated, and convey an understated elegance, achieved through the use of subtle hues, natural stone and soft timbers. 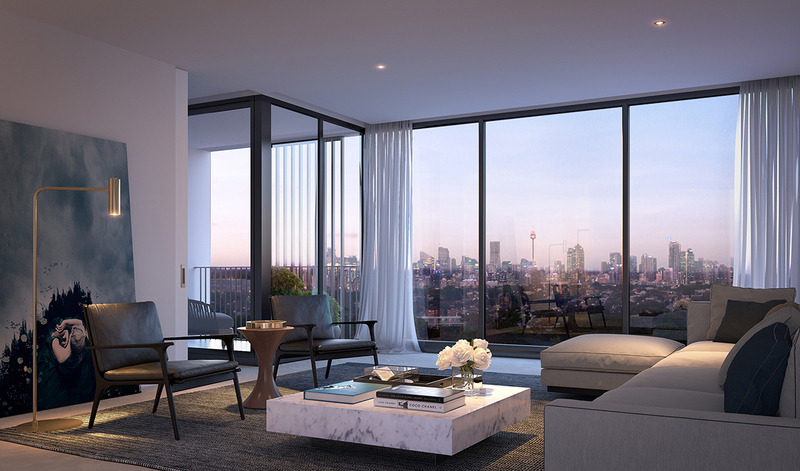 Rooms in each of the Waterfall apartments have been intelligently designed to maximise perspective and deliver unbroken vistas across Sydney, the surrounding parklands and the private green spaces below. The comforting environment of the living room is echoed throughout the home for design unity and an unchanging sense of calm. In the bathrooms, the designers focused on instilling a sense of serenity and tapping into improved functionality. Move into the kitchens and you’ll discover each one is fitted with world-renowned Miele appliances to afford residents the very best cooking and dining-in experience. The highly-desirable Waterfall super-penthouses exemplify true luxury living in its entirety. Replete with dressing rooms, spa-like bathrooms, state-of-the-art smart home technology and integrated sound systems, these expansive homes give way to a seamlessly enhanced way of life. Undoubtedly one of the greatest attractions of living at Waterfall is the astonishing range of amenities the development has to offer. 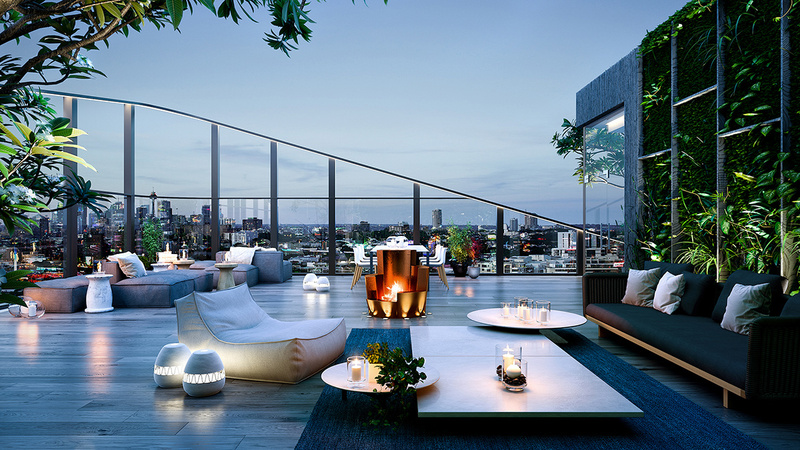 Apartment developments emerging on the scene across Australia frequently speak of swimming pools, courtyards and views but Waterfall takes each of these life-enhancing elements to the next level. Spend the afternoon relaxing in Waterfall’s heated rooftop infinity pool, your very own zen-inspiring retreat. Reach your fitness goals while being inspired by nature at the fully-equipped cantilevered gym or meditate in the floating yoga room while you breathe in the views. Step outside your apartment and stroll through the private, bamboo-covered walkway towards the eponymous on-site waterfall, cascading beautifully down one of the four buildings in the midst of flowering greenery. 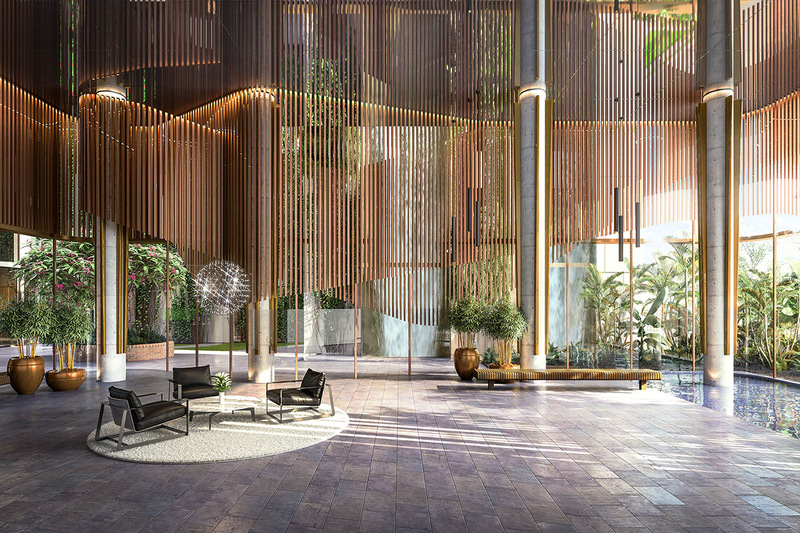 “Inspired by the lush, tropical landscapes of Indonesia, Waterfall is a groundbreaking new development returning a sense of equilibrium to modern life,” says Sunito. This exotic, jungle-esque theme continues on the rooftop sky garden and terrace, where an outdoor cinema under the stars makes for romantic evenings – or thrilling, dramatic or funny ones, depending in your preferred genre. Professional, aspiring and experimental musicians alike will be inspired by the soundproofed music room at Waterfall, including a piano, perfect for any ivory-tinkling residents or bandmembers. Beyond its cinematic and musical notes, Waterfall extends its artistic inclination through a specially-commissioned artwork installation by Mika Utzon Popov, the grandson of Sydney Opera House’s architect, Jørn Utzon. 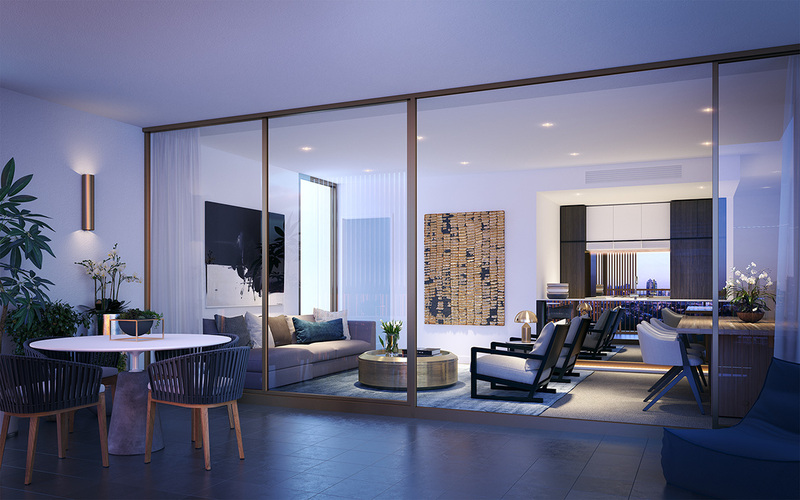 Outside the parameters of your apartment and its luscious, frangipani-infused surrounds, you’ll discover Waterloo’s exciting activities including the soon-to-come Rope Walk Park and enjoy the convenience of nearby shopping and schools. Westfield Sydney is just 12 minutes away by car and the prestigious Sydney Girls High School and Sydney Boys High School are just a 5-minute drive away. Waterfall is a 9-minute walk from Green Square station, where trains will transport you to Sydney CBD every eight minutes. Construction of Waterfall by Crown Group is scheduled for completion in 2020. To enquire about Waterfall by Crown Group or books your VIP appointment today, click here.